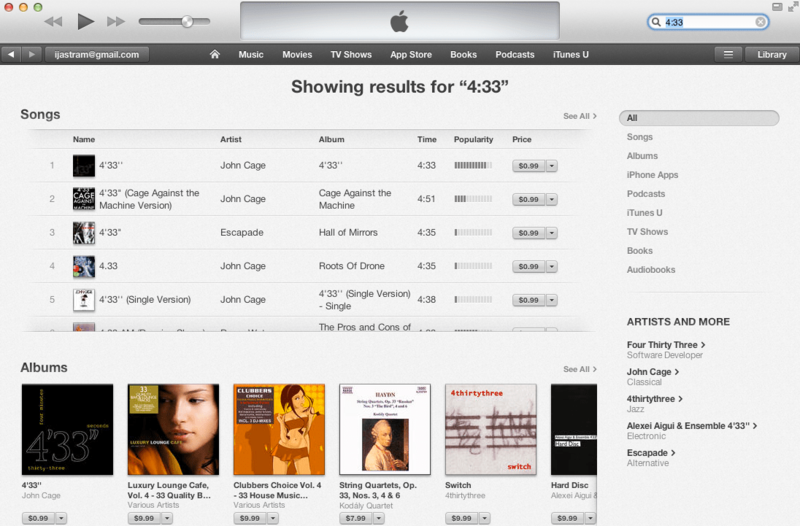 So many versions of John Cage’s controversial work. To be fair, a good number of those copies were presumably purchased as part of the bid to get 4’33 into the UK Christmas No. 1 spot in 2010.